Looking for a delicious, simple, Whole30-friendly, Paleo alternative to white rice? 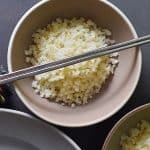 Make my simple cauliflower rice recipe! Here’s my second attempt at making cauliflower rice. My first attempt was a little too involved, but this time I adapted this recipe from Elana’s Pantry. This version doesn’t require you to nuke the cauliflower and then fry it. Any way I can save steps is awesome when I’m trying to get food on the table quickly. 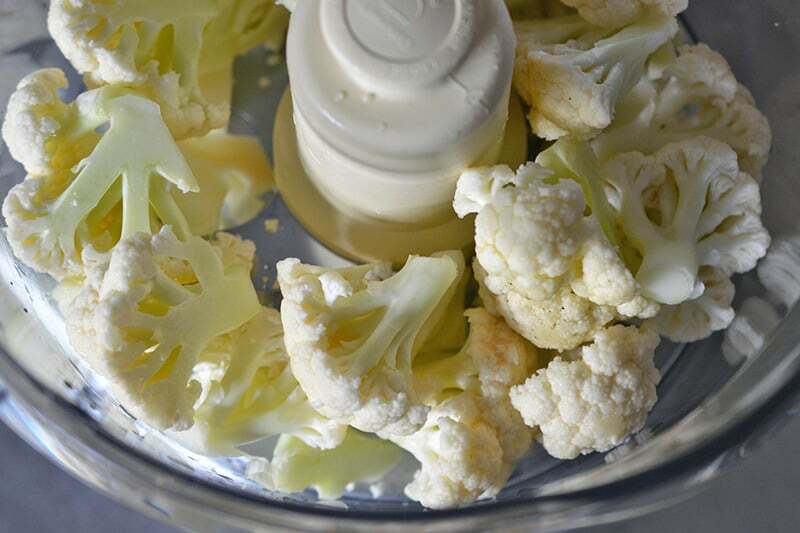 Grab your cauliflower florets, and throw them into a food processor with the chopping blade. Pulse the contents until the cauliflower resembles couscous or rice grains. Heat a 12-inch pan over medium heat until hot. Add your favorite cooking fat and when it’s shimmering, toss in the onions. Cook, stirring frequently, until the onions are translucent. 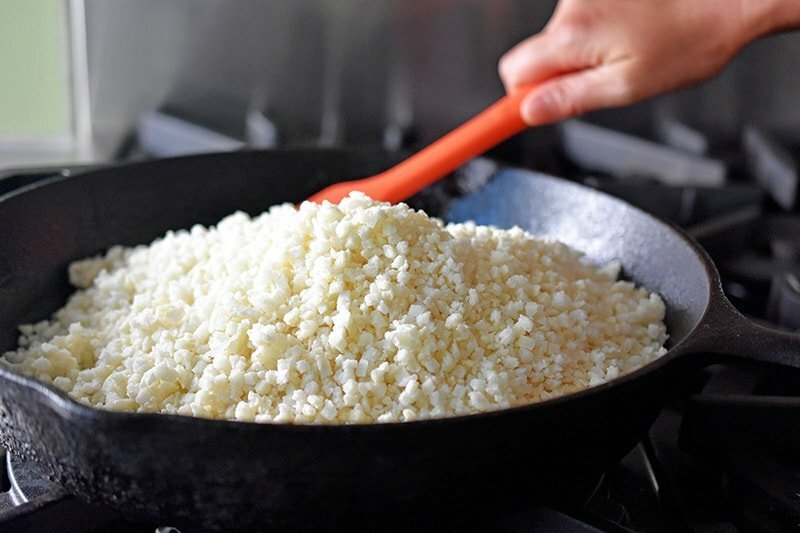 When the onions are softened, dump in the riced cauliflower and stir well to distribute the fat and onions. Season the “rice” with some Magic Mushroom Powder (or Diamond Crystal kosher salt), pepper, and Aleppo pepper (if using). 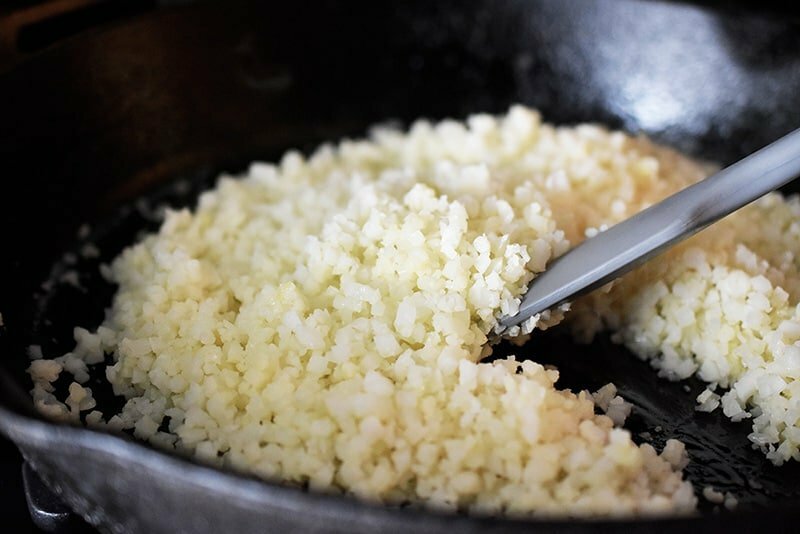 Cover the skillet and cook the cauliflower for 5-10 minutes or until softened. Make sure the rice doesn’t get mushy! Taste for seasoning and adjust with additional salt and pepper if needed. 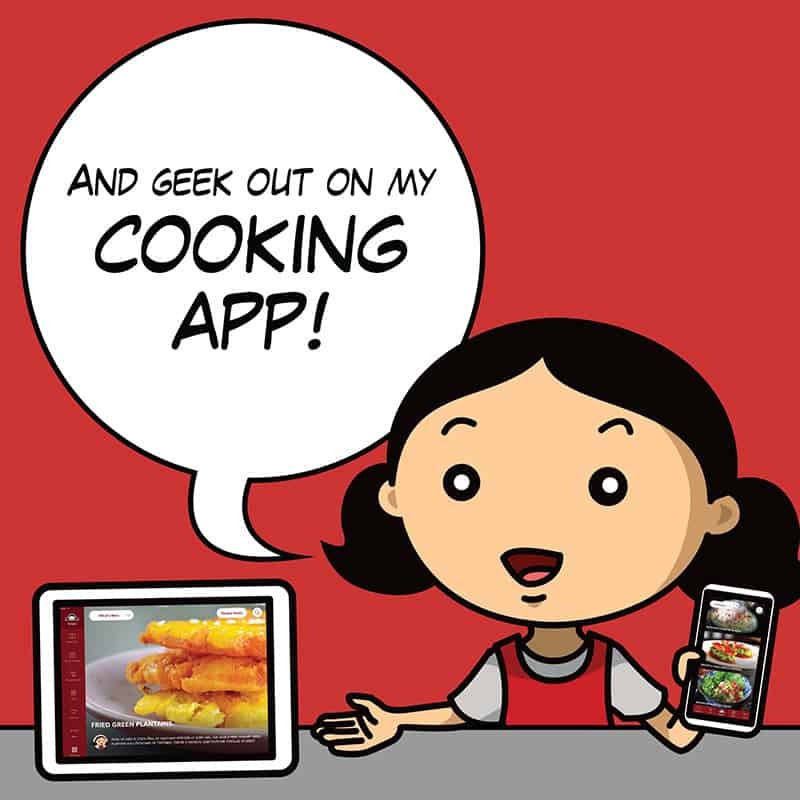 You can totally change up the seasoning and customize it to your tastes. A head of cauliflower makes a lot of rice (~ 6 servings) so I have a base for a bunch of packed lunches. Yay! 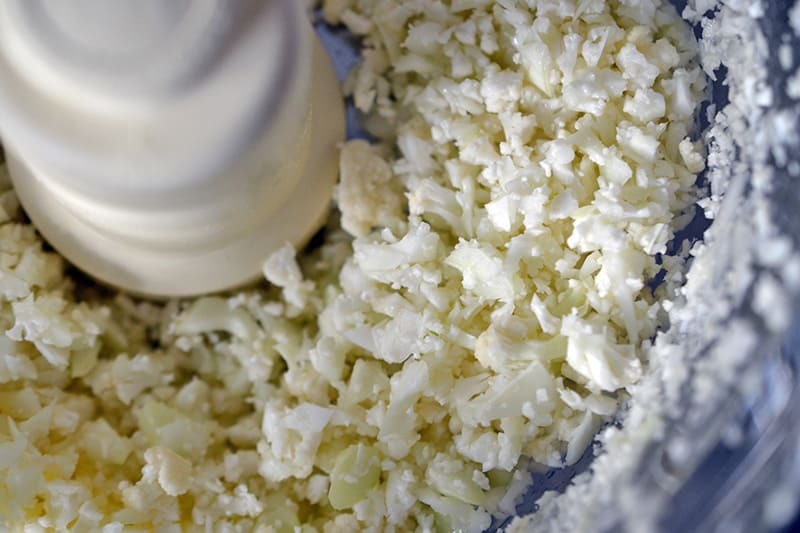 Grab your cauliflower florets and throw them into a food processor fitted with the chopping blade. Heat a 12-inch pan over medium heat until hot. Add your favorite cooking fat and when it's shimmering, toss in the onions. Cook, stirring frequently, until the onions are translucent. 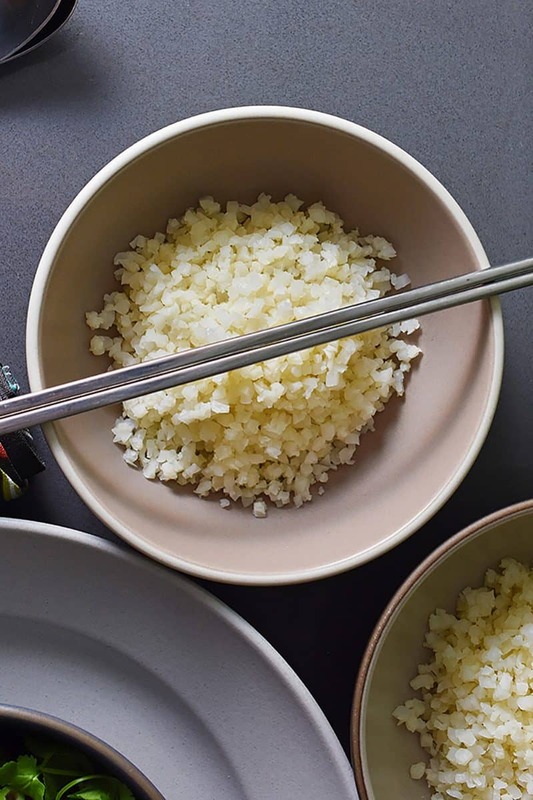 When the onions are softened, dump in the riced cauliflower and stir well to distribute the fat and onions. 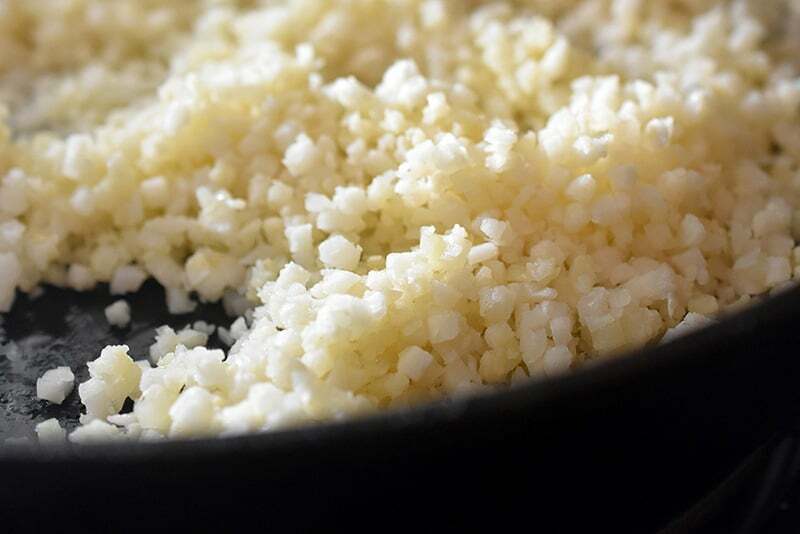 Cover the skillet and cook the cauliflower for 5-10 minutes or until softened. Make sure the rice doesn't get mushy! Taste for seasoning and adjust with additional salt and pepper if needed.